I will be attending Book Expo America, May 29-31, 2009 New York, NY to record material for The Book of Life podcast and to promote the Sydney Taylor Book Award for Jewish children's & teen literature. If YOU will be at Book Expo too, drop me a line at bookoflifepodcast@gmail.com! Hope to see you at Book Expo! The Book of Life Facebook fan page, in the few short weeks of its existence, has already picked up over 100 fans. I am getting a huge kick out of this, because for the first time I can see the faces of the show's listeners! It feels much more personal than receiving comments on the blog. When we hit #100 I was very excited, and I posted the question (on Facebook) of how we should celebrate. Several people commented, suggesting that we do a giveaway. You want it? You got it! When we reach the next milestone, 150 Facebook fans, we'll enter all 150 fans into a drawing for a book giveaway. Maybe we'll do this for every milestone of 50, having drawings at 200, 250, and so on. Let me know if you think this is a good idea by posting a comment. 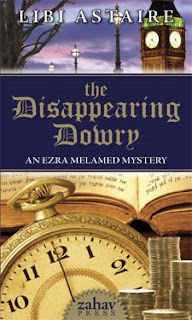 For the 150 drawing, our prize will be a brand new book that I haven't read yet but I predict will be fun: The Disappearing Dowry, an Ezra Melamed Mystery by Libi Astaire from Zahav Press. I've read the sample pages available online and I'm getting a real kick out of the Jane Austen writing style combined with Jewish content. I haven't reached the mystery part yet, but I'm looking forward to it. It's a great comination of elements, and should make for fun summer reading. Thanks to Zahav Press for kindly donating a copy of the book for our giveaway! If you're in a hurry to get the results of the drawing, do us both a favor and use the "Suggest to Friends" link on the Facebook fan page. And remember, your comments on the fan page wall are always welcome! As you know, the usual focus of The Book of Life is Judaica. Today we focus not on Jewish content, but on a mitzvah, a good deed, in which The Book of Life is participating. It's the Bridget Zinn Auction. The Bridget Zinn Auction is a fundraiser for a fellow kidlit librarian/author who has cancer (learn more about her at bridgetzinn.com). 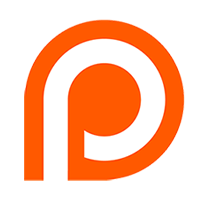 The Book of Life has donated an audio interview to the auction, a great publicity opportunity for authors, bloggers, and others with a project to share. Our usual restriction to Jewish content will be waived for this interview, so feel free to bid even if you are not involved in Judaica. Please bid on all items at bridgetzinnauction.wordpress.com by May 31, 2009. In today's podcast, we interview Jone MacCulloch, the organizer of the Bridget Zinn Auction. She was also the organizer of the 2008 Kidlit Bloggers Conference in Portland, OR. She blogs her poetry at deowriter.wordpress.com and her school library blog, "Check It Out," is at maclibrary.edublogs.org. I will be attending the Podcasters Across Borders conference for the first time this year, in June in Kingston, Ontario, and I am so excited! I've listened to recordings of past years' conferences and I've always wanted to go. This short audio clip is the "teaser" that I've created about The Book of Life, to give other conference attendees (who are podcasters too) an idea of what my show is like. 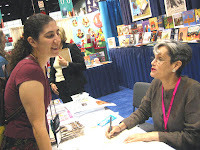 It's an outtake from my December 2007 interview with author/illustrator Ann Koffsky. I hope it makes sense - please let me know if you think it works as a promo for The Book of Life. I get a big kick out of the bit at the end where we start playing "Jewish geography." The Book of Life's Canadian Correspondent, Anne Dublin, interviews Montreal musician Orit Shimoni, leader of the band Little Birdie. 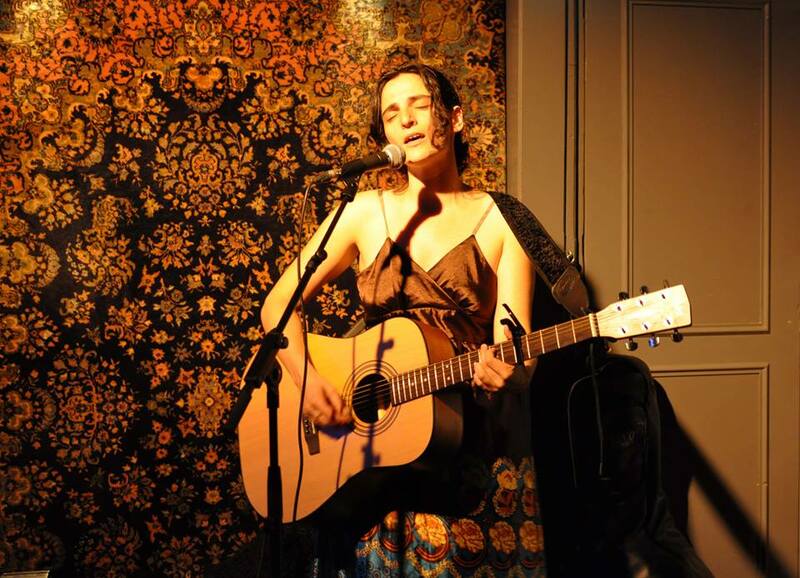 Orit gives us secular and Jewish-themed songs with a folky/country/rock/alternative flavor. Her album Cinematic Way is available at CD Baby. Scroll down for a video of Little Birdie in concert!